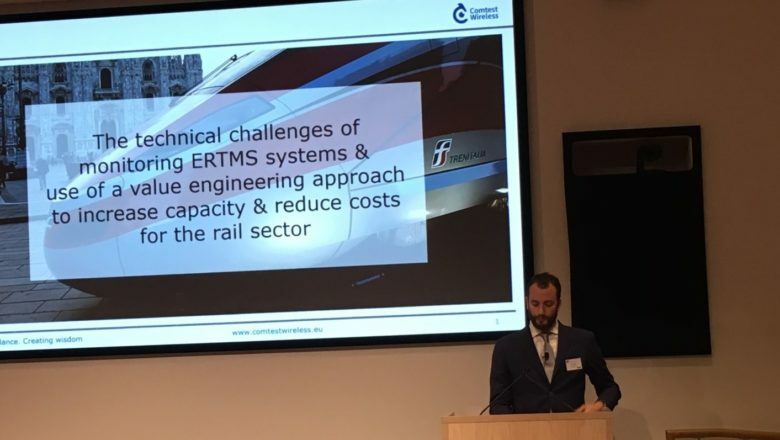 In May 2018, Luca Fornasiero presented a paper on ERTMS monitoring and value engineering, at the 8th International Conference on Railway Engineering (ICRE conference). This was one of three papers presented as part of the ‘Signalling and Traffic Management Systems’ session and was chaired by the Senior Asset Engineer at Network Rail, Mark Newton. “The technical challenges of monitoring ERTMS systems & use of a value engineering approach to increase capacity & reduce costs for the rail sector” was submitted by Comtest Wireless authors Luca Fornasiero and Carlo Ughetti. It received very good feedback from both the review committee, who gave it four stars, and the delegates who attended the conference. Rail infrastructure operators, vendors and contractors will gain insights from the cited examples and case studies and learn how effective proactive ERTMS systems-wide monitoring and the use of ‘value engineering’ can reduce costs and improve efficiencies.